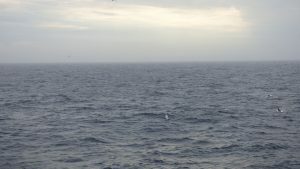 Around 9:30am we heard from the school that the students have been studying Greek Mythology and had been relating the tale of our dear ST to the myth of Agamemnon and have been making sacrifices to the wind gods to help her change her course… and around 10am we received a phone call that fisherman Drake Scott had spotted the ST about 5 miles off York Harbor, Maine. 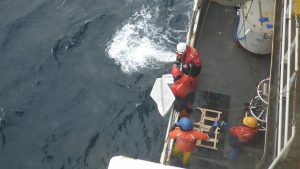 They volunteered to turn around and recover her so she can be launched further in the Gulf Stream. 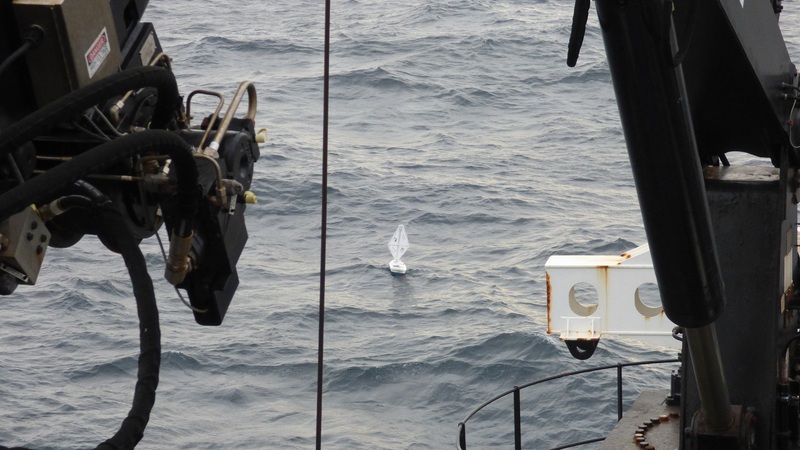 After circling George’s Bank for weeks and a total voyage of 33 days all around the Gulf of Maine, perhaps the students’ interest and passion for the project helped in this interesting tale of recovery! 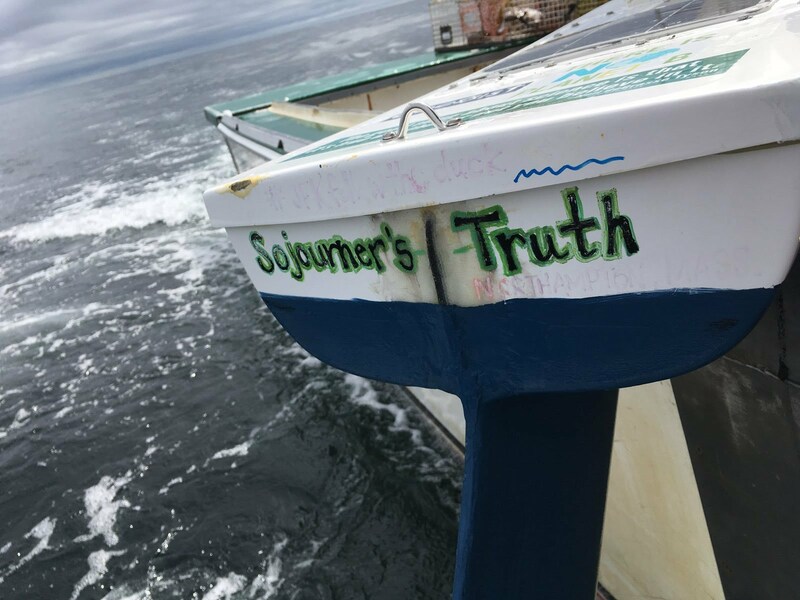 The Sojourner’s Truth has been launched, thanks to the crew of the R/V Henry Bigelow! 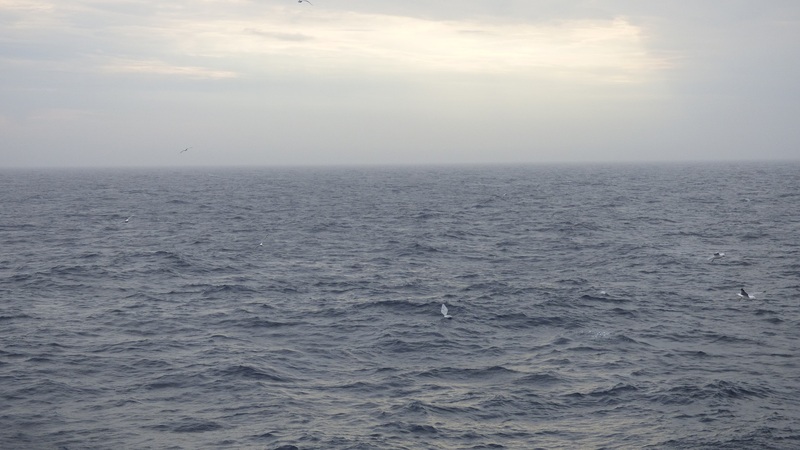 The boat was put aboard the Bigelow in Newport Rhode Island later this week. 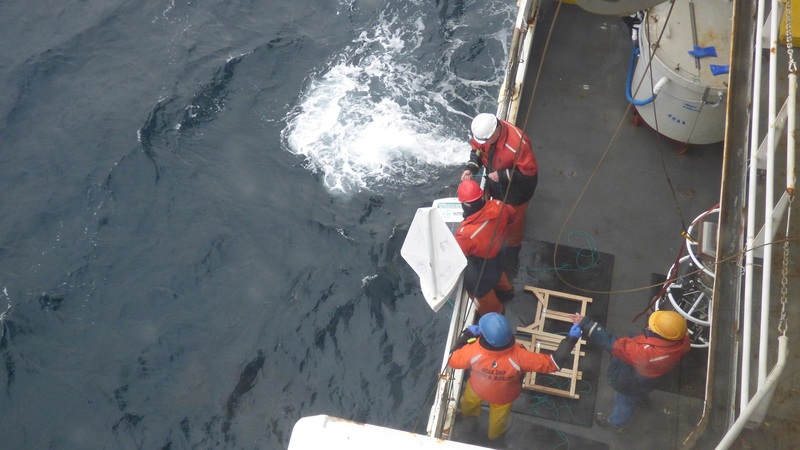 The crew is at sea conducting bottom trawl surveys that help feed into fisheries management decisions. The boat has a special sensor package aboard – with sensors for air and water temperature. We have not yet received a report with the data so fingers are crossed it kicks in soon! 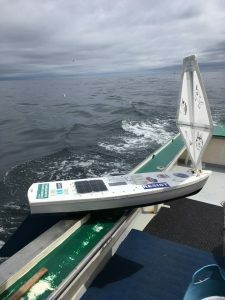 She has a name! 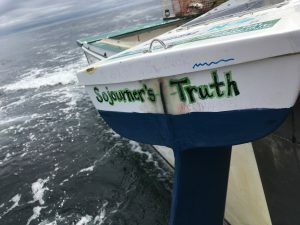 A reference to one of Northampton’s most famous residents, and truth in science through exploration, the JFK Global STEM group has named her Sojourner’s Truth. 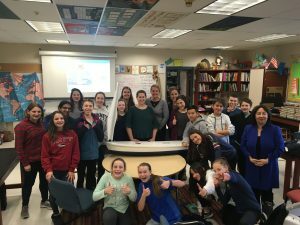 The boat was hand delivered by EP Program Director Cassie Stymiest to the Global STEM Classroom at JFK Middle School. 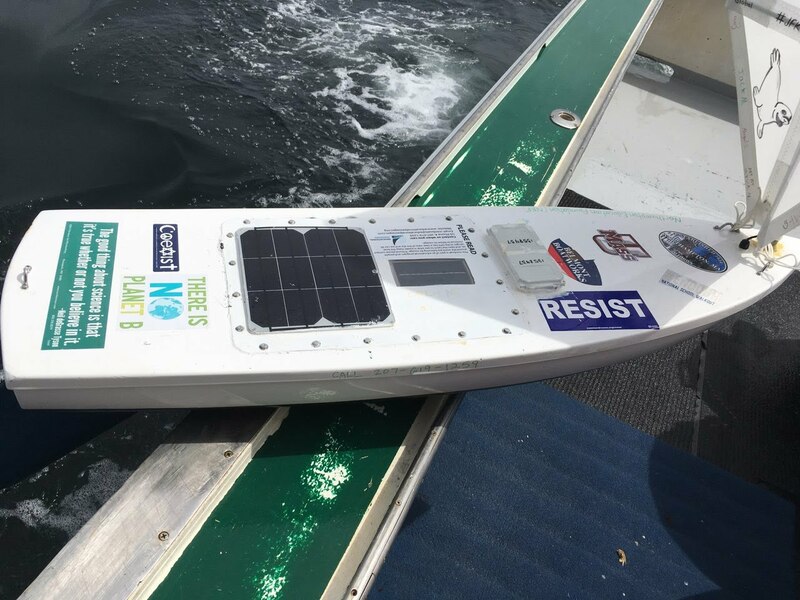 Every year the Global STEM Center (a Massachusetts based non-profit), brings exciting STEM projects to schools in collaboration with other nonprofits, STEM corporations, college/universities and government agencies. The collaboration plans with Educational Passages have been developing over the last 4-5 years – and finally, this academic year (2017-2018) it was launched! Many THANKS to the enthusiastic support from Cassie Stymiest, passionate science teachers from Northampton Kate Parrott and Jacob Masenior, and a strong support from the Superintendent Dr. Provost, all wonderful students and the NPS team!